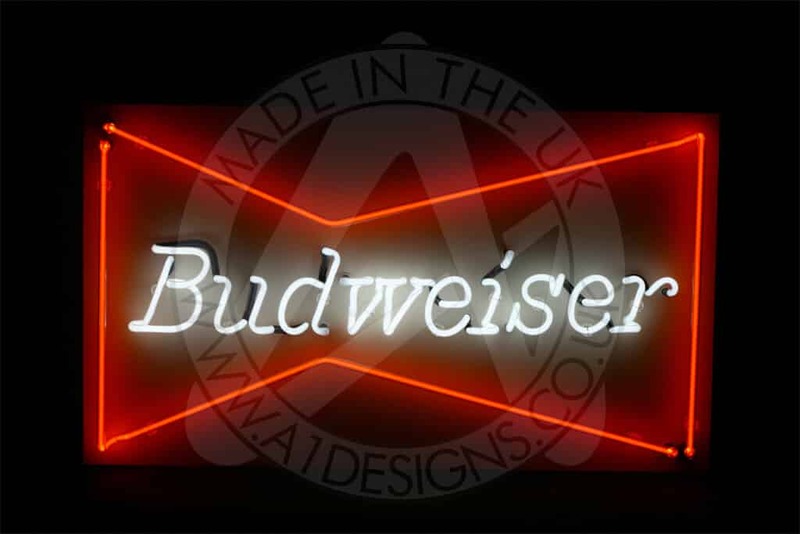 The team at A1deSIGNS have created neon bar signs and neon bar lights for a range of clients, including signs for particular beers, such as Budweiser, branding signs with business logo’s on, signs with slogans, open signs, hanging window signs and many more. When it comes to neon signs for bars, we cater to a range of tastes. We can produce a bar sign to match the theme of your establishment or something more funky to help your bar stand out on a busy street. Over the years we have produced a range of different neon bar signs, which can be seen up and down the country in a whole host of bars. 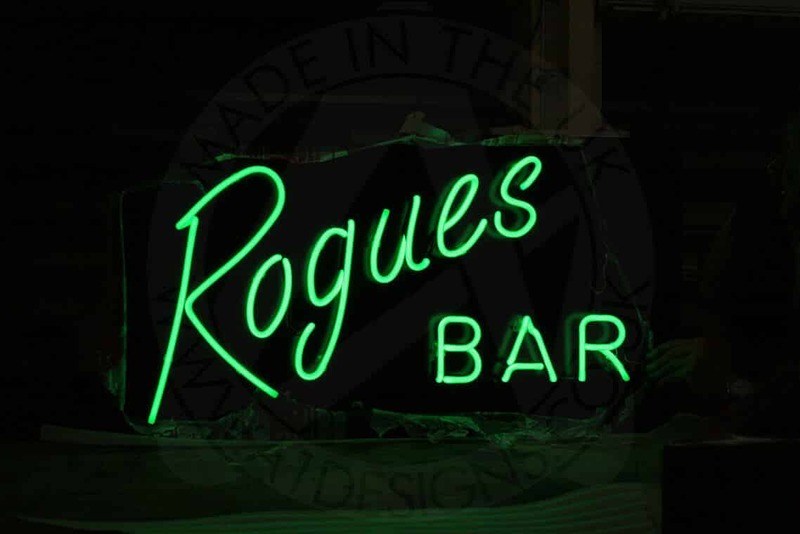 Neon bar signs are no different to any of the other sign making services we offer here at A1deSIGNS. We can fully design your neon masterpiece for you, before following the design to produce a sign that sits nicely in your bar. Your neon bar sign can be mounted to the wall or can hang in the door, you can position it above the bar for all to see or in the door of the bar to tell people if you are open or closed. No matter what you want from your neon bar sign, we can help to make sure the project runs smoothly from start to finish. From the initial contact through to design, manufacture through to delivery, we will make sure you understand the process for having a neon bar sign designed and manufactured by A1deSIGNS. This is just part of the personal service we seek to provide for every client we work with. Neon beer signs are an extremely popular product for anyone looking to enhance the way a bar looks from the inside, or from the outside. Beer signs come in a range of shapes and sizes, with beer brands proving to be a popular choice. Another common neon beer sign is the ‘Beer Sold Here’ sign, which can be positioned in such a way so that those who pass by will see the sign. Hopefully this will lead to them purchasing a refreshing beverage from your lovely establishment. We have an ever-growing portfolio when it comes to beer signs, especially those made with neon lights. We also have a great reputation in the London area which continues to expand across the UK. Our company has produced a great selection of custom neon bar signs for different bars locally and further afield, and with many years’ worth of valuable experience behind us, you can put your faith in us to deliver a product which not only looks great, but stands the test of time. 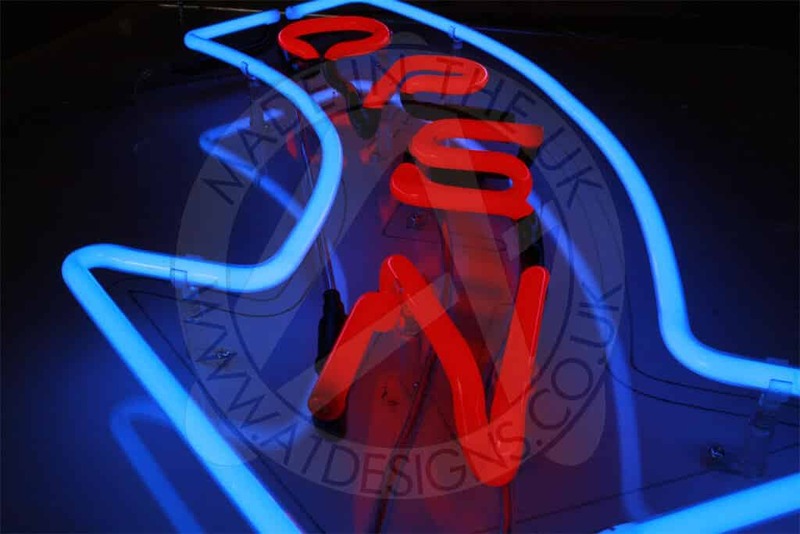 As well as neon beer signs, we also specialise in neon open signs for bars. These can be delicately mounted in the door or window of your pub so that people can tell whether you are open or closed. These can be as small or large as you like, with a choice of colours and fonts available to create a sign you love. Attracting new customers to any commercial environment is something that can be done using different methods. A neon bar or open sign is a popular way of trying to lure new customers into pubs and has proved quite successful over the years. We suppose this is one of the many reasons why customers keep coming back to us for neon beer, open and bar signs. Creating your own neon bar light can have a huge impact on the overall styling and feel of your bar. Bar lights can brighten up and liven up any area with the neon colours and creative flare of most neon bar light designs. We can work with you on the design if needed, or simply create your own design where possible. 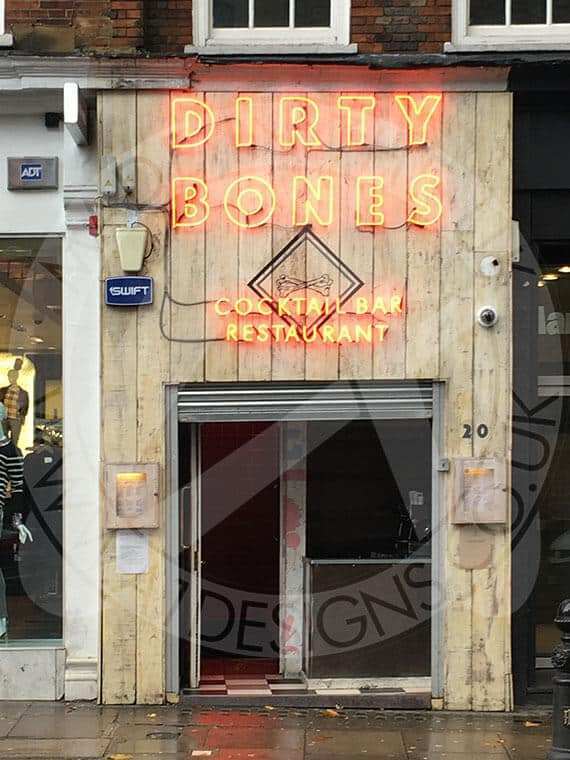 Our team of experts will be able to advise and help you create you neon bar light. 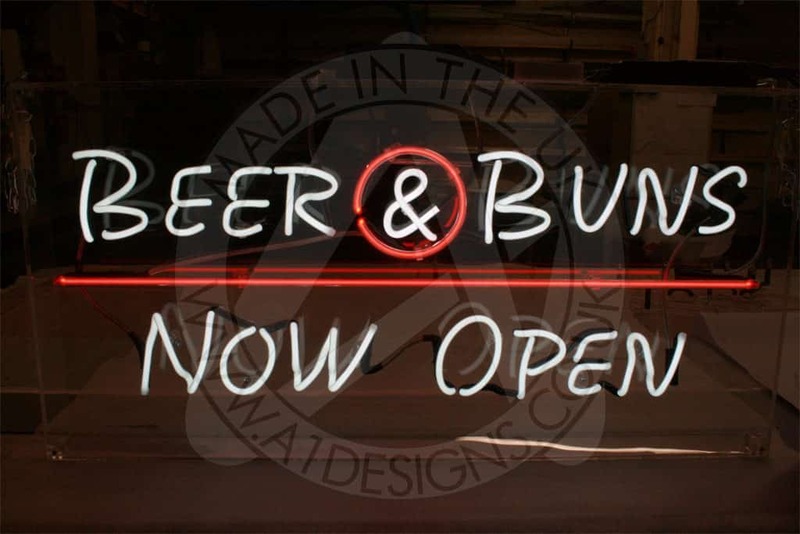 If you are looking for a company with neon beer signs or neon bar lights for sale, A1deSIGNS can assist you. We can work with you on the design of your new bar light to make sure we produce a finished product you and your customers will enjoy.